Before people hear a word you say, or see anything you can do they will see you or the things that represent you; they will experience your personal brand or your lack of it. When you aim to be a rockstar professional then you better bring your game and put on the best representation of yourself. Don’t let your awesomeness be dimmed by a shaky or lacking personal brand. Your values are the guiding stars that should help you align everything you do. From your style and persona to your actions and efforts your values play a vital role in who you are and what you’re about. Take the time and commitment to put some focus to clearly define your values. Once your values have been defined, follow them and live them. If you’re considering doing something that doesn’t align with your values, don’t do it! If one of the marketing pieces doesn’t reflect your values don’t do it! People who share your values will gravitate to you. If you haven’t defined them, they won’t know who you are and won’t have the opportunity to connect with you on a deeper level. TIP: If you haven’t gone through this exercise work with a coach who has this experience. You’ll want a strong list of values that really define your essence otherwise they are just words in a list. Your style and image also play a large role of your personal brand. This includes your physical looks, your brand’s look and feel, the colors that represent you, the fonts that you use in your marketing pieces, the style of photography that represents you. Your style should reflect your values and should evoke a feeling in people. Do you have a professional, trustworthy style or is your style more interesting and provocative? Whatever it is, it should reflect your true essence. Regardless of what it is you should aim to let your personality come through in an original, BOLD way if you want to be remembered. TIP: There are many fashion experts and stylists that would love the opportunity to help you find your personal style that both represents you but also highlights your uniqueness. Marketing tools such as websites, social media channels, videos, e-mails, mobile apps or event printed marketing collateral are typically how many people first encounter your personal brand. Their quality, messaging and the experience they provide reflects on you. 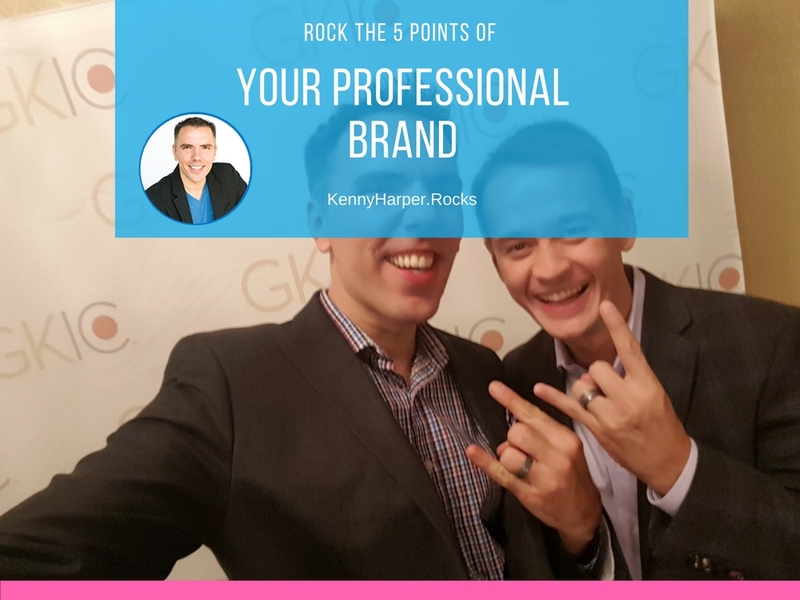 If you want to be seen as a rockstar professional you need to have tools with the same level of quality as other pros. If you can’t afford a lot of items, start small but keep to the quality. This is a prime example when quality trumps quantity. TIP: For quality marketing tools, hire a professional marketing consultant or graphic designer to assist you in getting professional tools. Hiring professionals may cost a little more but actually that money is an investment to improve your results, and something tells me YOU are definitely worth that investment. If you don’t believe so, you may need to work on your BOLD Vision. You can walk the walk, but can you talk the talk? Your message needs to be clear, straight forward and get your point across but most of all it needs to influence people’s perception about you and ultimately get those people to take action. Crafting a compelling message that gets and holds people’s attention is no easy task. Your message must aim to provide value to people while building your credibility in order to cultivate trust. Sure, it’s easy to write words but it takes time to craft words to carry your unique message. TIP: Consider hiring a brand strategist, copywriter or editor to help you get started in crafting your message. Test your message by sharing it with a group of people and getting their feedback; is it having the desired effect? Continue refining your message until it gets the ideal result you’re looking for. The fifth point of your personal brand is your marketing; the combination of efforts that you take to get your message out there and let the world know who you are and what you’re about. Do it wrong and you’ll do yourself a disservice and repel people. Do it just ok and you’ll spend a lot of time communicating to few people. Do it right and you’ll build an audience that believes in and responds to your message. Having worked with many companies in their marketing efforts, I’ve seen both successes and failures. TIP: If you don’t have a strong marketing background, join a marketing organization, a coaching group or hire a consultant to help get you on the right track. You may spend some money, but with better results you can earn that back. You cannot earn back time.